﻿ IELTS Writing Practice by BB - Learning English - WE Club - Powered by Discuz! Hello! 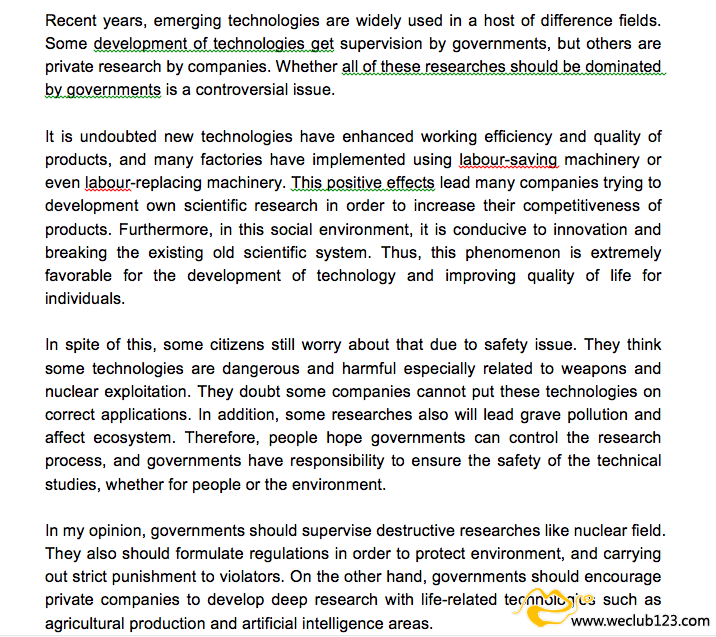 I am here to post a member's essay in the IELTS Preparation group. Question: My people believe that scientific research should be carried out and controlled by the governments rather than private companies. To what extent do you agree or disagree with this opinion? If you have any good idea or comment, please leave it. Thank you! GMT+10, 2019-4-19 15:13 , Processed in 0.700197 second(s), 26 queries .